In other words, if the solution doesn’t align with the client, they will get very little or no results, which doesn’t serve anybody. When you have the wrong client, certain things will tend to bubble up. One thing that we found was that sales conversations were awkward. It didn’t feel natural, and there was lots of cajoling and convincing. It just didn’t feel like a natural conversation, but it was lots of back and forth, making it feel harder than it should be. Personality-wise, it just didn’t feel like a match, so again, there just seemed to be some friction there. Not only personality-wise, but was it a business fit with our client’s business or not? Thirdly, because they weren’t really a good fit, they always had some friction in terms of implementing, they weren’t 100% on board, and so they weren’t really able to make great progress. 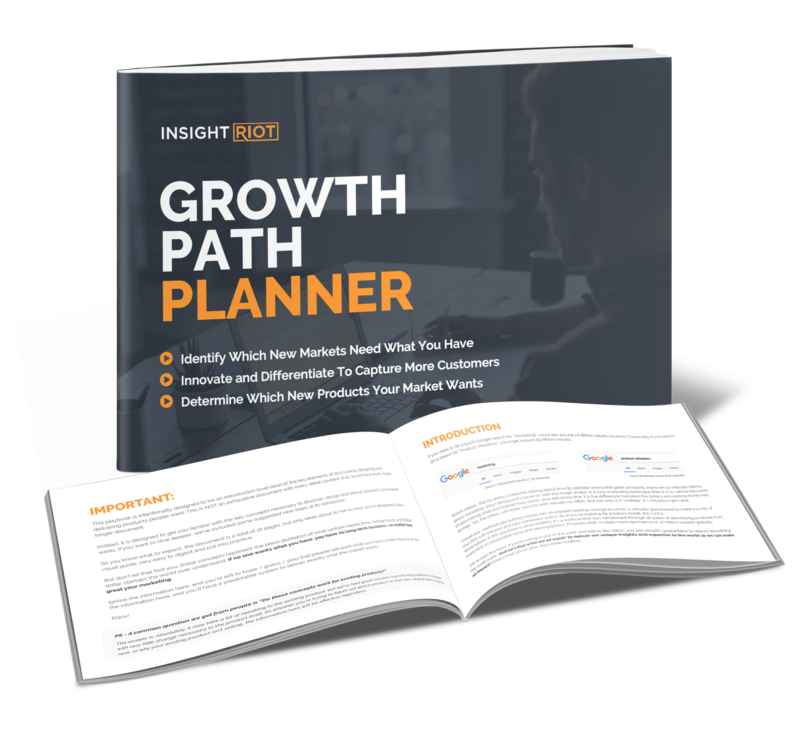 This client really couldn’t move the needle for them, because they weren’t super excited and engaged to implement. So that ends up being a problem for everybody, because they’re not getting the results. You’re not having fun, you’re spending a lot more energy, time, and effort trying to get them the results. You are also trying to figure out what’s wrong with your process, what’s wrong with your product, and at the end of the day, it’s really a false negative. There’s nothing wrong with your product per se, it’s just you haven’t found the right person that it fits with. In working with these problematic clients, there’s a lot more resistance and disagreements than there should be. What we want to do is actually find the right client that really needs your solution, and it’s a perfect fit. They need to do X, you have Y, and it’s exactly what they need. And when that happens, sales conversations move from hard to being very, very easy and natural. It feels like a true partnership because now you’re in this together, and you’re both collaborating towards a singular goal. At the end of the day, because they’re engaged, and because you’re engaged with them and their success, you’re able to get them results and everybody’s happy. Therefore, it is really important to find that perfect fit, because that’s when you get the best results for them, and they’re happiest. And again, all the way through the process, there is as little friction as possible. 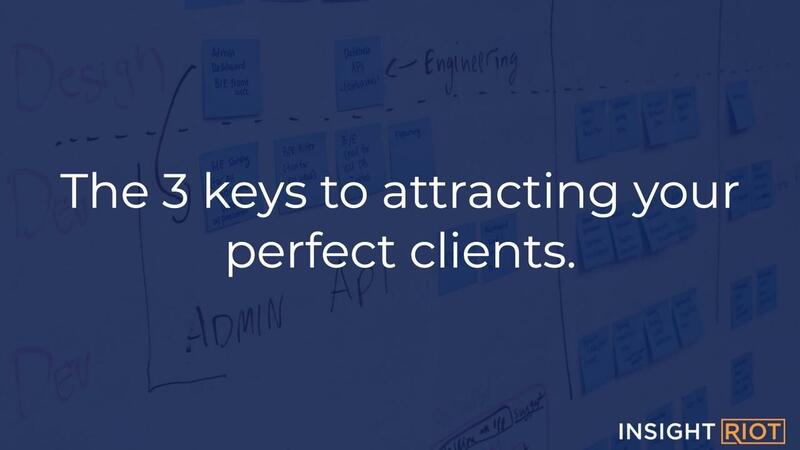 So let’s unpack three things that we implement with clients that actually can help you attract, in advance, these perfect clients. Number one is, you have to decide who you want. The way we encourage clients to do that is to actually look back at past clients. You look at who has been a real joy to work with, who has been most engaged with your product or service, and, as a result, has gotten the best results. You also want to look at, “Well, who did we not enjoy working with? Who had a lot of types of friction, and it just felt like a lot of work to get them any kind of results? Let’s try to stay away from them.” If you do that, then you actually have a clear target of who you’re after. This probably sounds rather simplistic and obvious, but if you haven’t taken the time to really look at who is your perfect customer, who are the people you really enjoyed working with, who are the people that you didn’t really enjoy working with, you won’t know until you’ve gone through that exercise. You really are kind of flying blind, as you don’t know what a great client looks like, and what a bad client looks like. You’re just working very reactively and just thinking that maybe this is the way that it’s supposed to be, or the way that it just is. It is a fact that some people are harder to work with than others. So once we’ve actually looked at who our perfect clients are and who are not our perfect clients, then we want to define the criteria. We’re looking for what are the things that are common between each of the great clients, what are some of the things that are common with the clients that are not so great, and we want to isolate those patterns and really unpack. What are the things about them that were great? Then once we establish that criteria, we then have traits for what makes a perfect client, and conversely, what makes a not- so great client, and once we’ve determined that criteria, now we can actually filter in advance the clients that would be a good fit and the clients that wouldn’t be a good fit. And at the end of the day, what you want to do is look at your sales and marketing process and kind of brainstorm or hypothesize where are the places that we could ask them to qualify themselves for our product or service? If we have identified who our perfect customer is, we’ve identified the criteria that makes them a perfect customer, well then, doesn’t that make sense that we want to qualify each of our prospects in terms of that criteria? A good exercise is to stand in front of a whiteboard and map out your sales and marketing processes and just isolate, where are the places that we can interject a survey question or an interview question? Places that we can find out, what are the demographics of their company, per se, what size company are there, if that’s one of your traits. But at the end of the day, you want to identify opportunities where you can have them qualify themselves, and if all of those people making it through have qualified themselves in terms of the good criteria, well then, it doesn’t make sense; we should ultimately have no deadbeats, or very, very few deadbeat clients. If we don’t define who we’re after, we don’t define the criteria that makes a client great; and if we don’t put any filtration or qualification mechanisms in our sales and marketing, it’s inevitable that we’re going to get bad clients. But if you do figure out who your best client is, you isolate those traits, and you make that qualification material in your sales and marketing funnel, you are going to get winners all day long, and as it makes sense that only the people who qualify for that perfect criteria are going to end up being clients. So, the question is, which will you choose? Are you going to choose reactionary and hoping that you get the right clients, or are you going to be intentional about it, follow this process, and isolating your best clients, defining that criteria, and making potential clients qualify themselves? At the end of the day, you’re going to end up with winner clients. The choice is up to you. If you found this valuable, please like, share, or comment.